In a car he is familiar battling with at home, Lower Onslow, Nova Scotia’s Sam Rogers drove to second place in the Bandolero Outlaw field on Day One of INEX Winter Nationals at Citrus County Speedway. Rogers, racing a car on loan from Langille Racing, was the runner-up to Cameron Murray on Monday in the Outlaw division. Murray built a quick lead as Rogers fought traffic to get back to second. Once Rogers got to the second spot, he ran out of time to catch the Fuquay-Varina, Virginia driver. In his first oval race as an Outlaw driver, Owen Mahar mixed it up within the top ten throughout the 15-lap feature. After starting sixth, Mahar finished seventh, one spot ahead of fellow Bandolero and CKRA driver Danny Chisholm. Chisholm and team struggled with electrical issues on Saturday in their Bandolero and the team ended up swapping motors after the first feature of the week. Dylan Dowe raced from an early spin in Turn Three to bring the PPM Inc. Bandolero home in 15th place. In Legend action from INEX Winter Nationals, Cory Hall Racing teammates Michael Cormier and Michael Neary finished on opposite sides of a top ten finish. Cormier, the 2018 Maritime League of Legends Tour Rookie of the Year, came home just inside the top ten in ninth while Neary, the 2018 Eastbound Park champion, would wind up in 11th place after 25-laps. The race was won by Lebanon, Tennessee’s Hunter Wright. Almonte, Ontario’s Kevin Foisy led the way for the Canadian contingent within the Masters division. Foisy qualified fourth but got shuffled out on the outside line on a number of occasions within the feature. The Canadian Legend Cars driver came back to finish fifth to start the week. Darren Sherwood, in his first INEX Winter Nationals event in over five years, raced to a tenth place finish. Gary Dunning, in his inaugural visit to Florida in February, was 12th in the feature. Craig Bruce was 14th after a spin early in the feature while Shane Pollock placed 22nd in the 29 car field. Georgia’s Doug Stevens won the race. Nick Ledson raced to a 14th place finish in a competitive Pro Legend division on Monday. 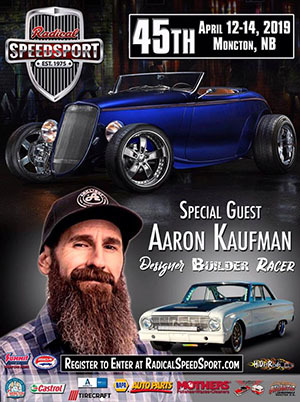 Ledson, from Bradford, Ontario, is the only Canadian competing in the Pro division at the event this year after Cory Hall of Jolicure, New Brunswick, took home the Winter Nationals title in 2018. Jak Crawford edged out Connor Mosack in the battle for the win in the 25-lap Pro race. Other winners on the day included North Carolina’s Madison Miracle and Virginia’s Layton Harrison, who both scored two wins on the double feature day for the Beginner Bandolero and Bandolero Bandit divisions, respectively. Connecticut’s Tyler Chapman won a wild Young Lions Legend feature that saw the race called after 17 laps when the race hit the time limit. The final caution flag was triggered when leaders Tommy Good and Janson Marchbanks collided while battling for the win. A complete recap from the first day of racing can be found via our friends at LegendsNation.com. 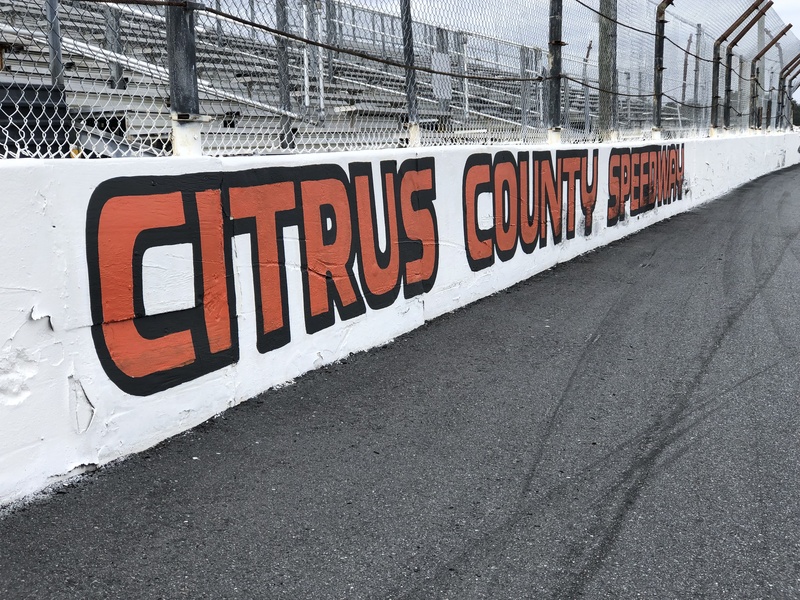 Due to the forecast of rain on Tuesday, the Tuesday program for INEX Winter Nationals at Citrus County Speedway has been moved to Wednesday. Wednesday was the scheduled rain date for the week should weather have interfered. At New Smyrna Speedway on Monday night, Austin MacDonald and Nicholas Naugle both competed in their second Pro Late Model races of the week. MacDonald raced to a sixth place finish while Naugle was eleventh. Both drivers are graduates of Bandolero and Legend cars and have competed at INEX Winter Nationals in the past.